Play ended at the Litchfield Racquet Club on Oct. 31. A plan for the former Litchfield Racquet Club calls for 108 efficiency apartments to replace the 17 clay tennis courts. 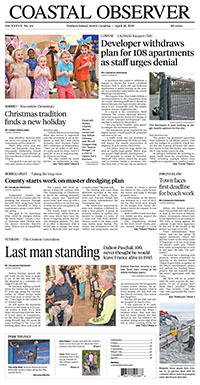 The project faces a public hearing before the Georgetown County Planning Commission next month. Former club members are organizing to save the facility from redevelopment. 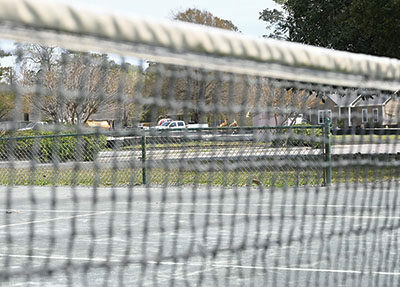 The last matches were played on the courts on Halloween. The facility was built by the Litchfield Co. in the 1966. It was sold to Myrtle Beach National in 1990, then to Founders Group International in 2015. The property is under contract to Trey Smith, who last year began development of 14 duplexes adjacent to the racquet club. Those were part of a “planned development” approved in 2005. Georgetown County must approve the change in use within the planned development from tennis courts to multi-family residential. Litchfield Country Club is zoned “R-10,” which allows single-family homes on lots of at least 10,000 square feet. Johnson described the apartments as condos. “I don’t think they’re rental apartments,” he said. The county had funding several years ago through the Grand Strand Area Transportation Study to realign Country Club Drive with Litchfield Drive, where there is a traffic signal. “We really couldn’t come up with a good solution,” Johnson said. “Maybe somebody will.” That’s another reason for a traffic study, he added. Projects that generate more than 500 trips per day require a traffic study, but they are often done after conditional approval is granted. “We’d like to see one up front,” Johnson said. Multi-family units are estimated to generate six trips a day, so the apartments would add 648 daily trips. Oakley also noted that the county’s current land-use plan, which he helped pass in 2008, calls for no net increase in density on the Waccamaw Neck. Mike Mushock is concerned both as a country club resident and a tennis player. He asked County Council last year to help save the racquet club to keep clay courts available to the public. Most of the courts at the nearby Stables Park Tennis Complex are hard courts. “I feel like the county empathizes with us, but it’s a very delicate thing,” he said. “I feel like this property is being taken away from the people,” Mushock said. He is trying to generate support for preserving the courts, with private investment and public backing for the current zoning, in the wider community. Mushock and the buyout group will host a meeting April 6 at the Waccamaw Library to outline the issues and their plans for the facility. It will start at 1 p.m. The Planning Commission will hold a hearing on the rezoning request April 18.